The QCTO has been erupting for a while and we’ve all been wondering where the flow will go. You think your problem is the accreditation application till you’re accredited and not making money! My clients are often accredited entities unable to SELL what they became accredited for. 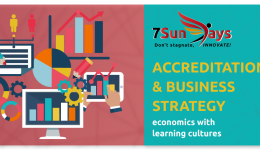 Book a 4 hour workshop and let’s crush QCTO accreditation and burn your competition. For organisations addressing strategic issues, innovation and competition. Book a bespoke solution. Topics can be tailored to suit. Feeling clueless in the QCTO space? Get to grips with QCTO policy and processes and how to align yourself to their interests. The future of occupational training lies with the QCTO so let’s get moving now to be competitive in the future. Don’t just be accredited, be market competitive. Let an education and economic development expert show you how. How can we be market competitive if we’re only accredited for one qualification?